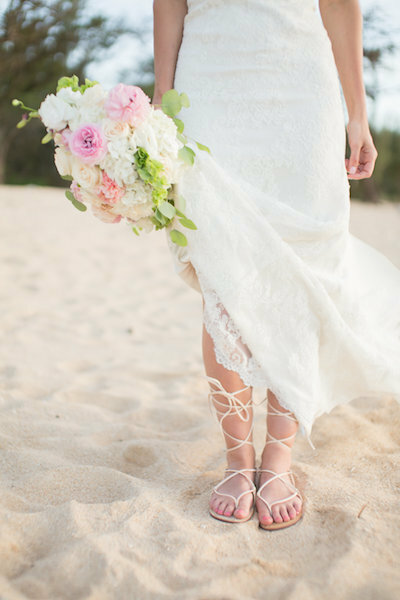 Beth and Chad’s Maui Destination Wedding was a day to remember! And we were so excited to be part of it. Helping them plan their dream day was a pleasure! Our bride was so nice and enjoyed all the fun aspects of the wedding without stressing. Which is exactly what a girl wants on her special day! After getting ready with the help of loved ones, she was more than ready to say, “I do”. 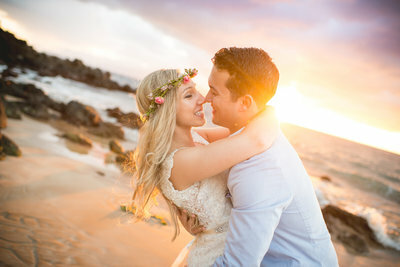 This entire wedding party was so much fun and came from the Chicago area, and had the best time on the island for this Maui Destination Wedding! Chad got to the beach early and was relaxed and excited as he waited for his bride to show up. We loved sharing in the anticipation of her arrival! Beth and Chad were so sweet together you could tell they are meant to be! We have every confidence they will have the most amazing life together. 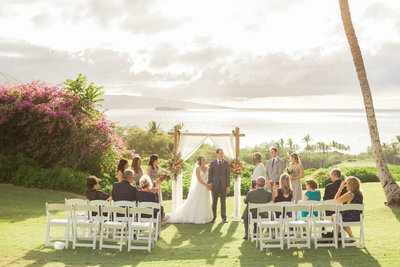 Thank you, Beth and Chad, for letting Simple Maui Wedding celebrate your new marriage with you! Congratulations and Warm Aloha!